Last night, at the Microsoft Theater in Los Angeles, the 70th Primetime Emmy Awards took place. Each year, the awards ceremony marks the best TV shows and series that appear on American television in prime time. 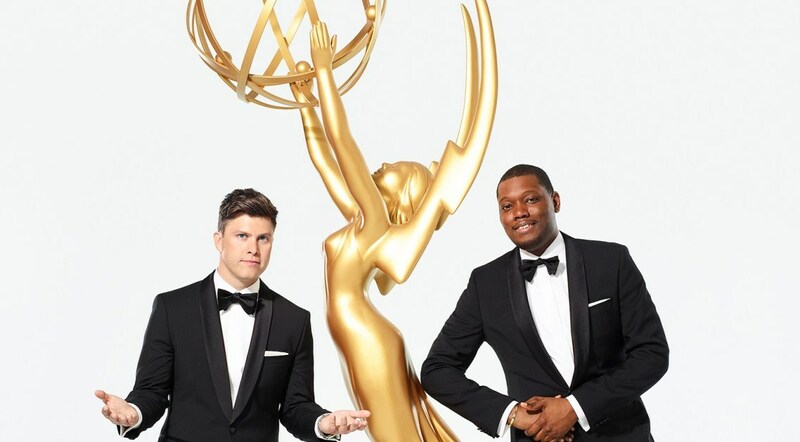 The hosts of the ceremony – Colin Jost and Michael Che. 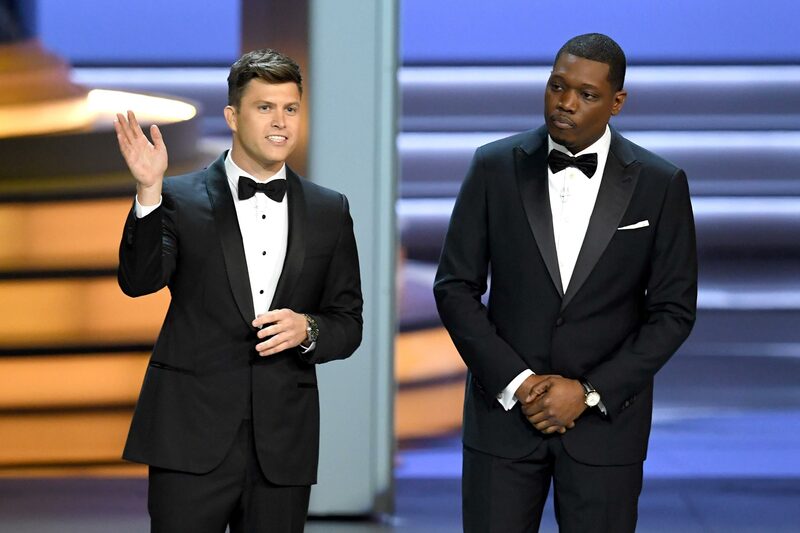 The hosts of the awards this year were the stand-up comedian Michael Che, and comedian Colin Jost, who opened the Emmys with a monologue about Hollywood. The stars of the world’s most popular TV series impressed the public with luxurious outfits and style. The big winners of the ceremony were “Game of Thrones”, “The Marvelous Mrs. Maisel” and “The Assassination of Gianni Versace: American Crime Story”. 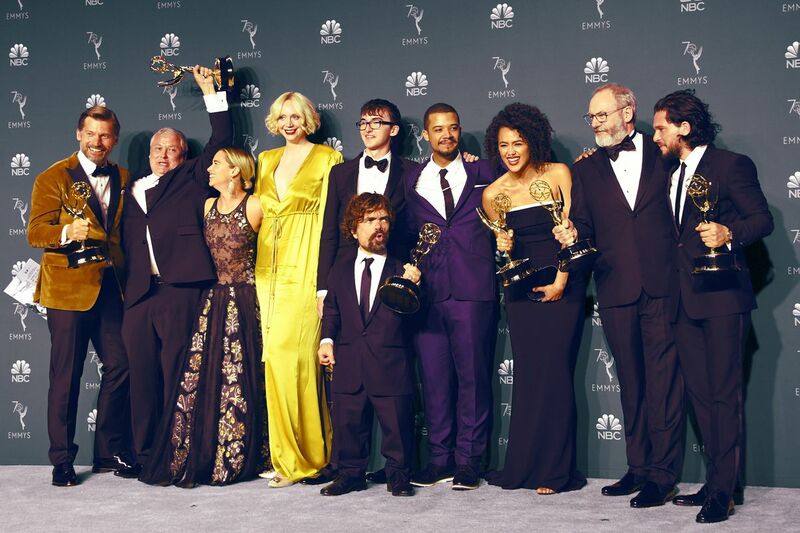 “Game of Thrones” won 12 Emmy Awards this year. 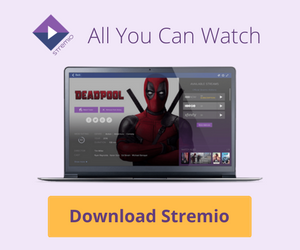 “Game of Thrones”, which had the most nominations (in 22 categories), won an Emmy in the main category “Outstanding Drama Series” bypassing the competitors: “Westworld”, “The Handmaid’s Tale”, “Stranger Things”, “This Is Us”, “The Americans”, “The Crown”. Another award went to “Game of Thrones”. Peter Dinklage, who plays the role of Tyrion Lannister, won in the category for “Outstanding Supporting Actor in a Drama Series”. 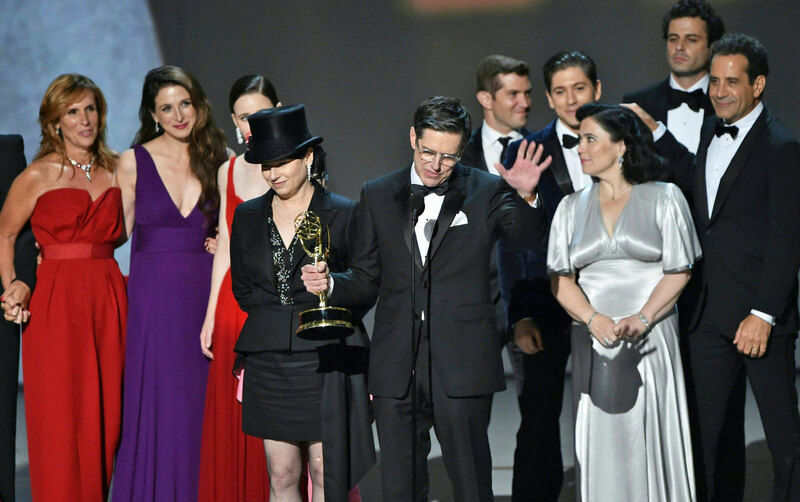 Amy Sherman-Palladino and Daniel Palladino, and cast accept the Outstanding Comedy Series award for ‘The Marvelous Mrs. Maisel’. The award for “Outstanding Comedy Series” went to “The Marvelous Mrs. Maisel”. 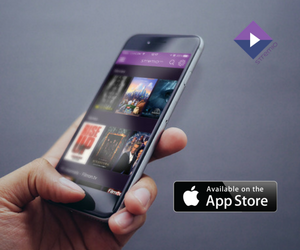 The series won in a strong competition – “Atlanta”, “Barry”, “Black-ish”, “Curb Your Enthusiasm”, “GLOW,” “Silicon Valley”, and “Unbreakable Kimmy Schmidt”. “The Marvelous Mrs. Maisell” also won two more awards – for “Outstanding Writing for a Comedy Series” and “Outstanding Directing for a Comedy Series”, as well as prizes for “Outstanding Lead Actress in a Comedy Series” (Rachel Brosnahan), and for “Outstanding Supporting Actress in a Comedy Series” (Alex Borstein). 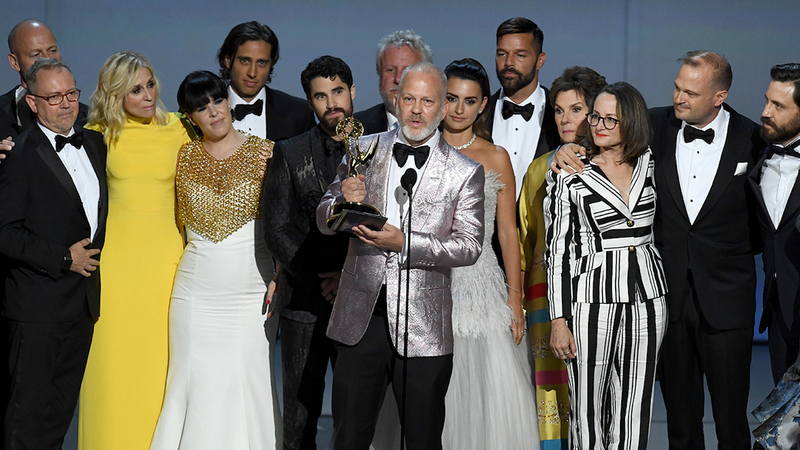 Ryan Murphy and cast accept the “Outstanding Limited Series” award for ‘The Assassination of Gianni Versace: American Crime Story’ onstage during the 70th Emmy Awards. “The Assassination of Gianni Versace: American Crime Story” won in the category for “Outstanding Limited Series”. The show also got an Emmy for “Outstanding Lead Actor in a Limited Series or Movie” (Darren Criss) and “Outstanding Directing for a Limited Series, Movie or a Dramatic Special” (Ryan Murphy).